Australia in the Cretaceous geological period looked very different from the vast island continent we know today. The land we know as Australia has not been an isolated island at all for much of its geological history. 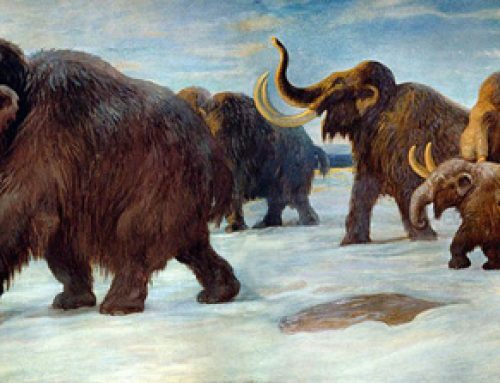 Scientists believe that it only became an island, separating from what was to become Antarctica around ninety-five million years ago. Dinosaurs continued to thrive as this huge landmass slowly drifted northwards under the influence of plate tectonics, much of Queensland, South Australia, New South Wales and the Northern Territories was underwater, covered by a shallow tropical sea. This sea is called by scientists the Eromanga Sea. The Eromanga sea seems to have been home to many different types of marine reptile. Fossils of various Ichthyosaurs, Plesiosaurs and fearsome Pliosaurs have been preserved in the rocks formed from sediments laid down under these marine conditions. Dinosaur fossils are also, occasionally found in this marine strata. As far as the fossil record shows, no type of dinosaur adapted to an entirely marine existence. With seas populated by giant marine predators, it seems this faunal niche was already occupied by other reptiles. However, dinosaur fossils do turn up in the sediments laid down at the bottom of the Eromanga sea – one such dinosaur is the Ankylosaurid known as Minmi. Minmi (scientific name Minmi paravertebra) is relatively small for an Ankylosaur, measuring about 2.5 metres in length. Its fossils, consisting of a beautifully preserved and almost complete , single, individual specimen were discovered in Australia. The fossils were found at a location known as Minmi crossing, hence this armoured dinosaur’s name. Like all members of the Ankylosaurids, this bird-hipped dinosaur was a vegetarian. Its body and tail were covered by small dermal plates (scutes), these would have provided this dinosaur with some protection from the fierce meat-eating dinosaurs that roamed in what was to become Australia in the Early Cretaceous. Palaeontologists believe that the carcase of this dinosaur was washed out to see by flood waters. Bloated by body gases after death, the carcase stayed afloat for several days before eventually rupturing and sinking to the seabed. Once deposited on the sea floor, rapid burial by other sediment deposits permitted the fossil preservation. The fossils of Minmi and other Australian dinosaurs can be seen in a number of regional museums in Queensland. The state has a fine heritage of Cretaceous dinosaur material. The only armoured dinosaurs we are aware of from Australia are the Minmids – relatively small, members of the Ankylosaurs known from Lower Cretaceous strata. Minmi paravertebra is perhaps the best known. Minmi is the genus name, possibly two species ascribed to this genus.